Is there any paperwork or document for the mechanical systems of 145 Industrial Pkwy S, Aurora, Ontario? I need more information about the property at 145 Industrial Pkwy S, Aurora, Ontario. How ist the neighborhood, location and nearby amenities for 145 Industrial Pkwy S, Aurora, Ontario? I have questions about the roof, foundation, insulations and mechanical issues of 145 Industrial Pkwy S, Aurora, Ontario? I need more information about property details. What's wrong with this house? Is this a short sale? Is there any maintenance for 145 Industrial Pkwy S, Aurora, Ontario? What is this property worth in today's market? What are "closing costs", and how much? What steps should I take when looking for a home loan? What price home can I afford? Is my credit good enough to buy this house? What are the best mortgage options for me? How flexible is the seller on the asking price? 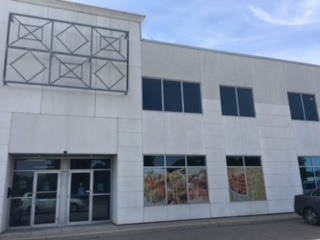 How low can I consider offering for 145 Industrial Pkwy S, Aurora, Ontario? 6,823 Sq Ft Of Industrial Space With 1 Drive In Door. Usage For Food Use. Improvements Include Large Freezer, Flash Freezer, Extensive Floor Drains, Temperature Control Computer And More. 25 Foot Clear Ceilings In Warehouse. Quoted Square Footage Includes Approx. 1,575 Sq Ft Of Mezzanine. Unit To Be Converted To Condo Within 18 Months. Buyer To Pay Tmi Until Closing. Condo Fees Estimated At $1,194.02 After Closing. Numerous Leasehold Improvements Designed For The Food Business. Note: Previous Tenant Maintained Both Federal And Provincial Licences For Food Preparation. Must Be Seen To Be Appreciated.